Turn it inside out so she can see? Singer Michelle Branch revealed a rather spooky backstory about her wedding gift from fiancé Patrick Carney. The couple went to their jeweler on Tuesday, March 20, to pick up their wedding rings when they experienced “the craziest thing,” according to the “Everywhere” hitmaker. “While waiting for our receipt I noticed this stunning old brooch in the case,” Branch wrote on Instagram. So she asked the sales person for more details about the piece. That wasn’t the only odd occurrence in the store. “At the very same moment, the computer the sales woman was working on goes dark and completely crashes!” she continued. But that didn’t deter the couple from the piece. In fact, they were drawn to it further. Just had the craziest thing happen @officerpatrickcarney and I went to pick up our wedding rings today at @waltonsjewelry While waiting for our receipt I noticed this stunning old brooch in the case and asked the sales person “can you tell me more about this brooch?” She started telling me that it’s Georgian (1750’s roughly) and the oldest item in the store when suddenly Patrick jumps back exclaiming that the brooch, under glass, has just moved towards us about an inch and a half! Literally falling out of the original box! At the very same moment, the computer the sales woman was working on goes dark and completely crashes! So of course, Patrick decides we have to have it and purchases it as my wedding gift! How spooky! Does anyone here have any stories of “energetic” jewelry? Don’t worry, I’ve already cleared it with sage Any psychics out there want to chime in?? Branch and Carney got engaged in July 2017 after meeting at a Grammys party in 2015. Branch’s love of art deco and antique jewelry runs deep as evidenced by Carney’s choice of an atypical engagement ring. 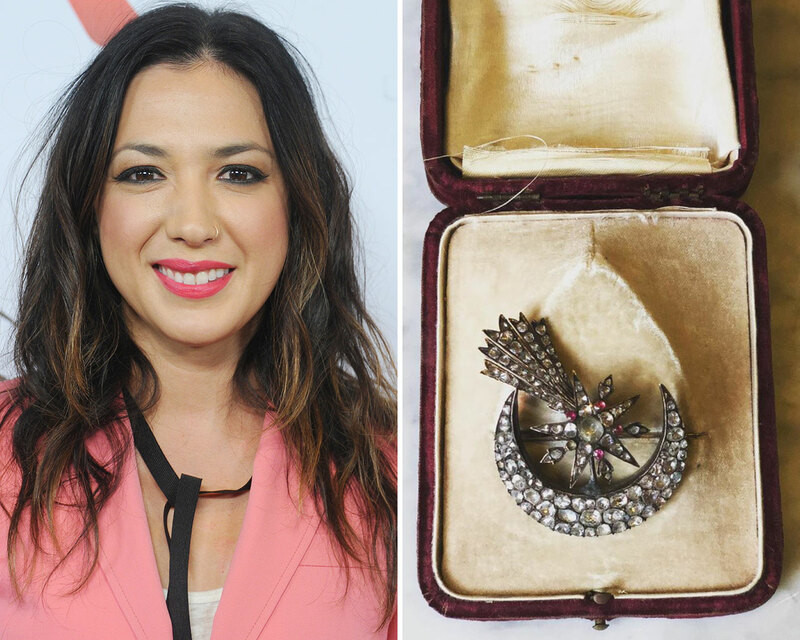 Be the first to comment on "Michelle Branch’s Wedding Gift From Fiancé Patrick Carney Has a “Spooky” Story"